BREAKING Migori Governor Okoth Obado arrested! held at DCI HQ over Sharon Otieno’s murder; 5 DUMB reasons why he got arrested! 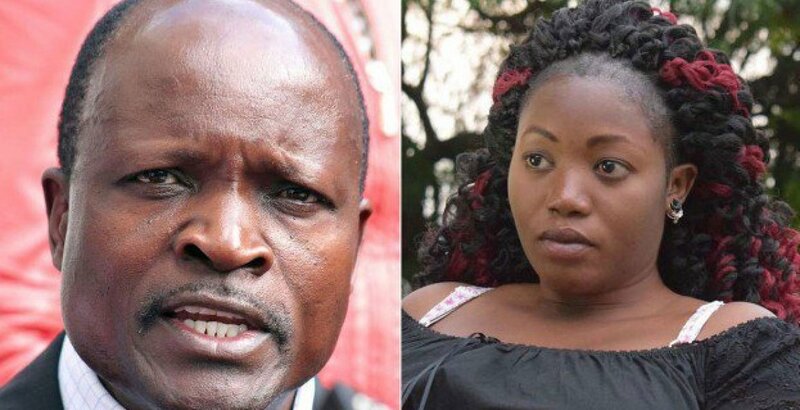 Migori Governor Okoth Obado arrested over Killing of University Student Sharon Otieno, will face charges over the murder tomorrow. There are people who are born naturally dumb. Migori Governor Okoth Obado is one of them. Not only is he dumb, he sorrounds himself with equally dumb poeple. Let’s start at the beginning. Obado involved his close aides Michael Oyamo and Caspal Obiero in the murder of Sharon. That’s the first mistake. An agency relationship can easily be deduced here. They were acting as agents of their boss. Caspal Obiero then makes the second mistake -using his wife’s car (the KCL Toyota Fielder) to abduct Sharon. Who, other than a incurable fool, would use their wife’s vehicle (that can be easily traced by the police) to abduct a woman who is later murdered. Caspal Obiero then makes the third mistake – procuring a third party -Jack Gombe–to drive them to Kodera after the abduction of Sharon. Jack Gombe was not told that he would be involved in the commission of a crime. He had no idea that they would abduct and later kill Sharon Otieno. Okoth Obado the bald man makes the fourth mistake. He hires a taxi to take him from Oyugis all the way to the scene of the crime. He’s introducing another party (another mouth that can talk), the taxi driver. The bald man also makes the fifth, and most fatal, mistake. His phone was on in this rendezvous from Kisii to Kodera Forest. His location settings was also on. Investigators simply traced his movements and asked him one question: what was your phone doing in Kodera Forest? Now, the most important element in this matter is Jack Gombe. He drove the KCL but did not know that he would be implicated in the commission of a crime. It is Jack Gombe who has confessed that Okoth Obado was indeed at the scene of the crime. His confession corroborates the statement provided by the taxi driver. Gombe has apparently signed a deal with the DPP. He will be charged with a lesser crime of conspiracy to commit murder which carries a maximum sentence of 14 years. The rest are accessories to the murder. They are facing life sentences. Obado ofuwo mobete gi piere! will face charges over the murder tomorrow.